How is your Planning Authority voting? Every Thursday, the 13 members of the Planning Authority board meet to cast their votes in favour or against important developments. But an analysis by The Sunday Times of Malta of voting records for each board member over the last year shows that those decisions tend to skew heavily in one direction. Between January and December 2017, the board assessed 75 development applications, of which 68 were approved – around 90 per cent – and just seven were rejected. On an individual level, similar figures emerged: nine board members all had approval rates higher than 91 per cent; those members said ‘no’ five times or fewer during the whole year. Three members bucked the trend: Environment and Resources Authority chairman Victor Axiak and NGO representative Annick Bonello voted against developments 25 and 32 times respectively, followed by board chairman Vince Cassar with 18. These three members often disagreed with the recommendations made to the board by Planning Directorate case officers, but were generally alone in doing so, as the rest of the board voted in line with the recommendations all but a handful of times. The analysis, drawn from publicly available board minutes, also reveals a high rate of absenteeism among board members: one – Desiree Cassar – was present for just a third of votes, and two others – Joseph Brincat and Ryan Callus – attended around half. At the other end of the scale was Victor Axiak, who missed just four votes all year. The board is generally responsible for deciding on more significant developments, voting according to planning policy. The overwhelming bulk of decisions, however, are taken instead by the three-person Planning Commission. The board is made up of three public officers representing the government; five ‘independent members’ who are ‘persons of known integrity’ and experts in economy, heritage, environment, development or architecture; the chair of the Planning Commission; the ERA chair; representatives of the government and Opposition; and a representative of environmental NGOs. The current incumbents have mostly been in their positions since 2013, except for government representative Clayton Bartolo, appointed in July 2017. Our analysis considered applications which varied significantly in scale and potential impact and included new developments, permit renewals, sanctioning of illegal developments and major amendments. It excluded minor amendments, votes on individual conditions, and votes on whether to change or revoke previously issued permits, which follow slightly different procedures. Moreover, two decisions were excluded as board minutes were not available. As the board typically hears a handful of applications at each sitting, a member who was absent for a sitting may have missed more than one vote, although members also commonly come and go between votes in the same sitting. Each member of the board was asked for a comment on their personal vote record. Several were asked to explain why they had voted no so rarely, and whether they felt their voting patterns could contribute to overdevelopment. All but one declined to comment, with some referring questions to the PA media office. Victor Axiak and Joseph Sammut, who was the government representative until July, could not be reached for comment. Opposition representative Ryan Callus, who was asked to explain why he had only voted no on three occasions, said his votes were bound by existing planning policies and, in some cases, party positions. “In any case, the planning process is an iterative one, whereby the authority, and subsequently the board, may request a change in parameters to enhance quality, reduce traffic or increase public open space. In fact, I have done so in a number of circumstances,” he said. Mr Callus also offered a breakdown of the 35 votes (46 per cent of the total) for which he had been absent. For 21 of those votes, Mr Callus said he was absent due to parliamentary duties, while the rest were due to illness, personal leave or registered conflicts of interest. Riviera Hotel: The board voted in February to allow the addition of an extra floor, 53 new rooms, and a 2,000 square metre car park to the Marfa hotel, which already had a substantial extension approved in 2015. The ERA had strongly objected due to the “piecemeal” approach that had seen 10 successive applications steadily encroaching on rural ODZ land. With nine members present, Victor Axiak and Annick Bonello were the only votes against the development. 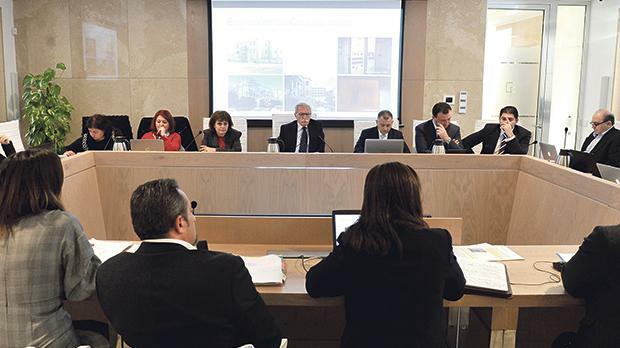 The Cloisters: In March, the board gave the go-ahead for the Grade 2 scheduled building in Sliema to be converted into a boutique hotel, adding an extra storey and introducing a seven-storey development in its back garden. The Sliema local council and heritage groups had described the project as a “mutilation”. With 10 members present, Victor Axiak and Annick Bonello were again the only members to vote against, both describing the project as “overdevelopment”. Gaffarena Fuel Station: The board unanimously refused an application in March to sanction the partly illegal Gaffarena fuel station in Qormi. Eight members, as well as a local council representative, were present and voted that the application could not be considered unless the illegal developments were removed. Naxxar elderly residence: A 4,750 square metre development on ODZ land in Naxxar was approved in July, with the board citing “financial feasibility” to reject two alternative sites within development boundaries and ignoring concerns over urban sprawl and visual impact. Victor Axiak and Annick Bonello were joined by the mayor of Naxxar in voting against, while 10 members voted in favour. 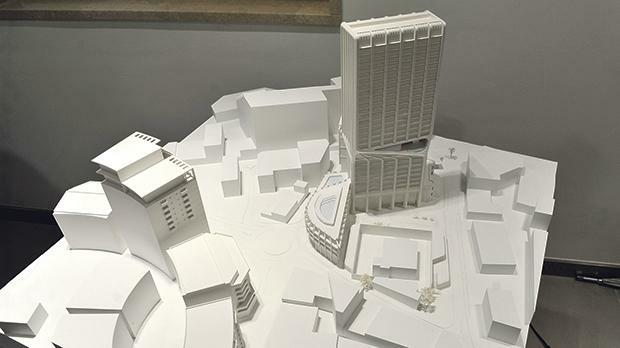 14 East Tower: In September, the board approved plans to increase by a third the height of the tower being built on the former United Garage site in Gżira, bringing the total height up to 21 storeys. Victor Axiak was the only one of nine members (plus the Gżira mayor) to vote against, citing his longstanding view that high-rise projects were being approved without considering the overall picture. Fish farm relocation: The board approved the temporary relocation of six tuna cages from Comino to an offshore site six kilometres north of Qawra. Despite some concerns over the effect on seabird colonies, the application aimed to tackle environmental problems associated with the farms. With 10 members present, Annick Bonello was the only vote against. Marsascala fuel station: An ODZ fuel station was approved in December on 1,500 square metres of agricultural land on Triq Sant’Antnin, despite environmental objections. Victor Axiak and Annick Bonello were once more the only votes against. Earlier in the year, the board had approved another station on virgin ODZ land in Burmarrad, just 450 metres away from the nearest similar facility, with the same two members opposing.